I didn’t waste any time getting back to work after the birth of my son, Donovan. I had him Dec. 18 and started working from home two weeks later. I felt guilty everyday. I had this beautiful newborn who saw nothing but his mom staring at a computer screen for hours on end. I was miserable, but I made it four months until I could no longer work from home. So I quit to stay home with Donovan and to start my blog. I knew it wouldn’t be easy. No new career worth having is. What I didn’t anticipate was how difficult balancing my new roles as an entrepreneur, mom and wife would be, even with the flexibility of working for myself. I still haven’t perfected the balancing struggle, but I have picked up a thing or six along the way. My life does not work without a system. I wake up at about 8 a.m. to an already wide-eyed son, Donovan. I change his diaper and let him play in my room while I spend about 30 minutes promoting blog posts. That’s about when Donovan gets hungry, so I feed him. We Facetime my mom. I read him a book, and I let him play while I work. He can usually make it to about 10 a.m. before he gets sleepy and takes a nap. When he wakes up, I shower, bath him, and we repeat the process until we wrap up the day with an hour or two of family time. 2. Relax during baby’s down time. If you noticed I didn’t say what I was doing when Donovan was napping during the day. That’s usually because I’m either sleeping too or doing the fun part of my job — reaching out to other moms on Facebook. I know it’s not always possible to sleep when your kids sleep, but at least don’t plan anything stressful during those times. 3. Do chores while your baby is awake. My son may be too young to handle any chores, but he’s not too young to be a part of the process. When I’m doing laundry, he’s right there banging on the dryer’s door. When I cook, he’s in his highchair tasting, smelling and touching the foods I use. Even when I shower, he’s there playing with the shower curtain. We are counting, identifying colors and singing the alphabet at every turn. Chores aren’t just things we have to get done in our household. They’re bonding opportunities and teaching moments. Really the only chores I find it difficult to do with Donovan are scrubbing the toilets and tubs. Luckily, those don’t take very long, so I put him in his crib to play while I clean them. Just because I like rearranging furniture, I brought two downstairs nightstands upstairs to center Donovan’s crib and to hold baskets of board books and toys. Apparently, Donovan noticed because he began to reach over from his crib and grab toys and books to entertain himself. It’s great if he wakes up before me or if I need to keep him safe while I wrap up a quick chore. In a perfect world, I could sit in a quiet room free from distractions and work, but in reality, I multitask. Writing is really the only part of my job that I prefer to do uninterrupted. So when I’m inspired, I pick a couple nights a month to binge write if you will. Other tasks just don’t require my undivided attention. Those are the ones I do throughout the day. I can send emails, schedule social media posts and promote my work on Facebook while Donovan plays. 6. Let music help fill the silence. I play music and sing pretty much all day long so my son doesn’t get bored. I keep an old school radio in Donovan’s room playing NPR nonstop. I play opera in my room/ office, and we listen to jazz in the living room. Music is a lot less distracting than TV for me, so I can work right through an endless stream of classical music. “Baby Shark,” however is another story. I love baskets and wooden boxes for decorative ways to store clothes and odds and ends, so Donovan spends hours going from basket to box in my bedroom and in his. He pulls out each item of clothing and puts it on the floor. Then, he rotates to his other favorite play stations. He hits up my display of purses, wheels from a bassinet we never put together and the many things that go open and close. Boardbooks. Open. Close. Dresser drawers. Open. Close. My bedroom door. Open. Close. I don’t know if he’ll ever get sick of opening and closing things. I just try to let him practice safely while I’m watching. 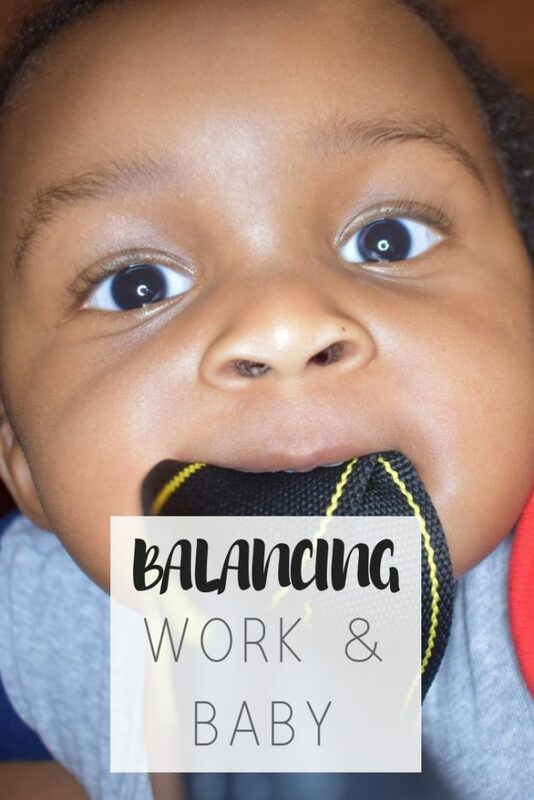 7 tips to balance working from home with baby | Honeycomb Moms| Getting anything done with a newborn is a challenge. Working from home is definitely not an exception to the rule. Learn how to balance parenthood and a new baby. Not a mom but I really and truly believe these are some amazing tips for moms. I love “define your normal” because there’s no one way to manage time between working and being a mother. Congrats on your beautiful baby! Really great tips for working moms with a baby at home! I don’t know how you do it, you’re an inspiration to us all. WAHMs are seriously super moms! Great tips. I will be working from home soon and we are planning to have another child. I thought keeping the second baby at home will help. I will definitely keep this blog to refer back too. 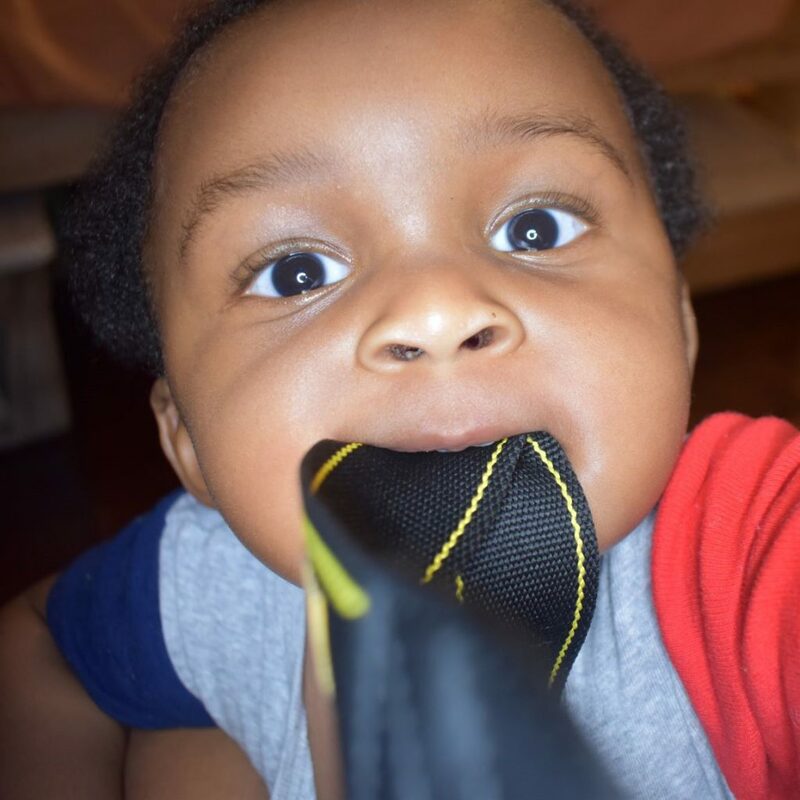 These are some great tips for moms who work remotely with a baby. My sister did it for a while, and she was pretty relieved once they sent my niece to daycare. Something to keep in mind when and if I ever have kids. Maybe one day. I’m not a mom but I have to applaud because it seems as this would be difficult to balance. Although you haven’t perfected you seen to have found things that work for you and the baby. The time you spend with him is precious and I’m sure your bond will be stronger than ever. I do not have kids yet, but I work from home now and when I become a mother I will still work from home. Great tips us women are truly super! Great tips. Although I do not have any children I did find it helpful for the future.